I believe the reason for this is to make all swords 'thrust safe' if they come to a point they can seriously hurt an eye. The same reasoning for arrows. This will be pioneering and a real challenge. But I'd second any Egyptian style weaponry. I too was disappointed that the Ritual Knife was discontinued. Luckily my brother has one already. But my character is in the process of forging a dagger made from gem. Purely for slaying the undead foes. And will now have to look elsewhere for a physrep. I don't know about the practicality, but can see a lot of wizards drooling over this. 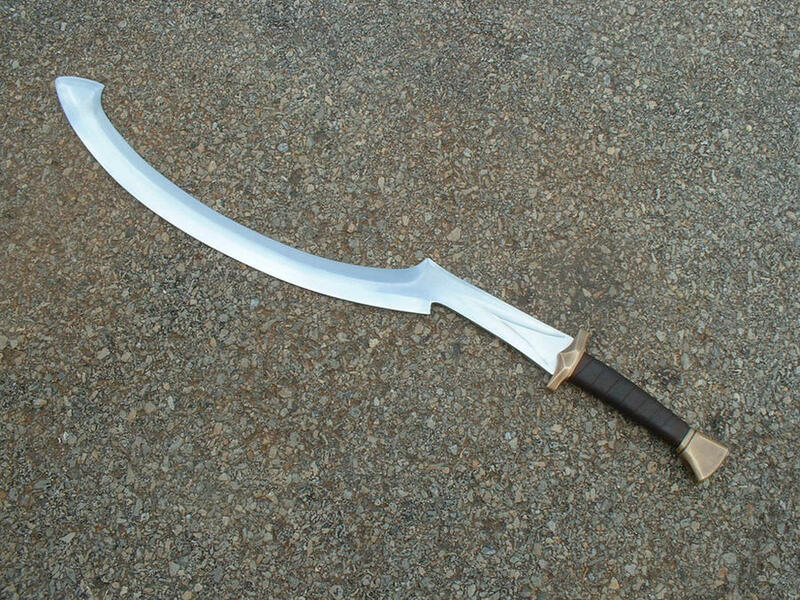 May be illegal to parry with in system, but provide a cool alternative weapon for the huge amount of beast-kin. Maybe take design ideas from Voldo of the Soul Calibur series.